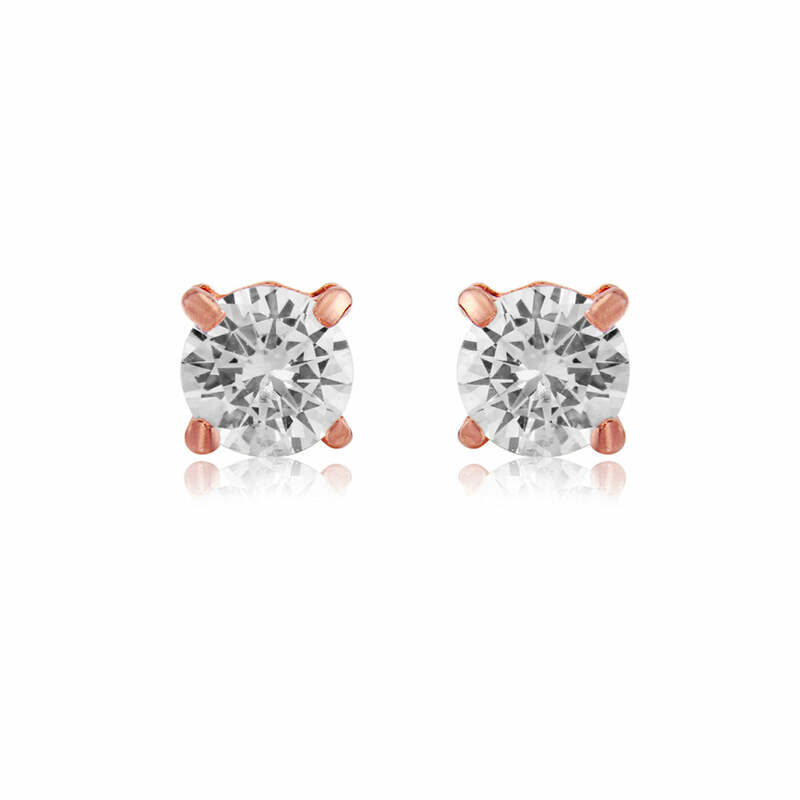 Timeless studs with a blush twist, these rose gold earrings are a perfect blend of modern and vintage style. A modern twist on the classic studs every woman's jewellery box demands, our Hint of Rose Gold Earrings have the look of diamonds with a guilt-free price tag. Featuring multi-faceted sparkling cubic zirconia encased in blushing rose gold, their timeless beauty will take you from your wedding day to everyday in style. Brides who adore dainty accessories are sure to fall in love with the chic simplicity of this oh so pretty pair. The perfect complement to a blush headpiece or to accentuate your on-trend metallic copper theme, these timeless stud wedding earrings also make a wonderful gift for bridesmaids that they can wear on your special day and beyond. Without doubt, Hint of Rose Gold Earrings will become your go-to pair for every and any occasion. From work to play to the most special events, their effortless elegance will have everyone thinking you're adorned with a girl's best friend.